US -based Hatch Baby are reinventing the nursery by putting an innovative and modern twist on traditional parenting tools. They have a full range of smart nursery products to help make parenting easier. With Big Apple Buddy’s personal shopping service, you can now buy direct from the Hatch Baby online store anytime, anywhere. The Hatch Baby Grow is the second generation Smart Changing Pad. This modern nursery innovation is changing the way you watch your baby grow. 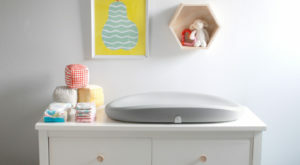 Combining a traditional diaper changing pad with a built-in, wireless smart scale, Grow allows you to easily track infant health metrics, providing reassurance to new parents from home. Hatch Baby Listen allows you to record and share your baby's heartbeat while in the womb. With audio recordings and fun visualizations, you can start saving and sharing memories from pregnancy. 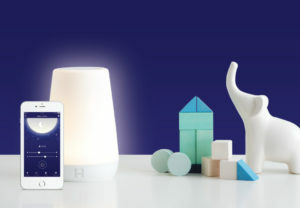 The Hatch Baby Rest is a night light, sound machine, and Ok-to-wake indicator in one modern device, designed to control and program conveniently from your phone. Unfortunately, the USA Hatch Baby online store does not currently offer international shipping. However, Big Apple Buddy, your personal shopper, can help you buy products direct from the official USA Hatch Baby online store and ship them to your doorstep, no matter where you are in the world. If you would like to buy from the USA Hatch Baby online store, simply let us know which items you would like to order (by filling out the form below) and we’ll get back to you with a free international shipping quote within 24 hours!